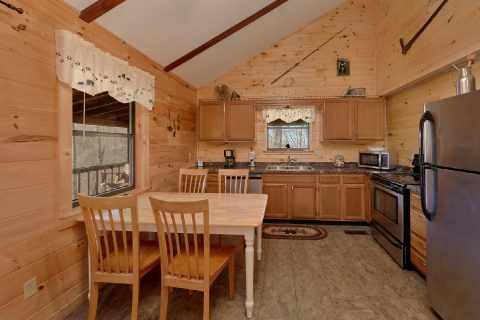 "Cozy Hideaway" is an affordable 3 bedroom cabin rental in the beautiful Upper Middle Creek road area of the Smoky Mountains. 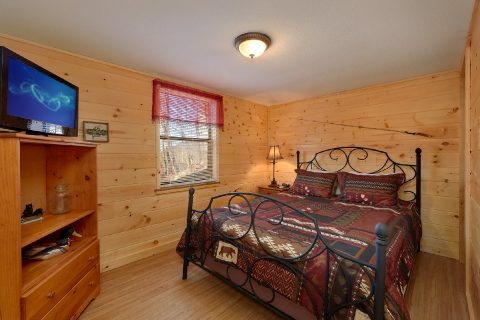 Thanks to this cabin's prime location, guests can enjoy being only 5 miles from the heart of Downtown Pigeon Forge where you'll find lots of attractions, shopping, and restaurants. 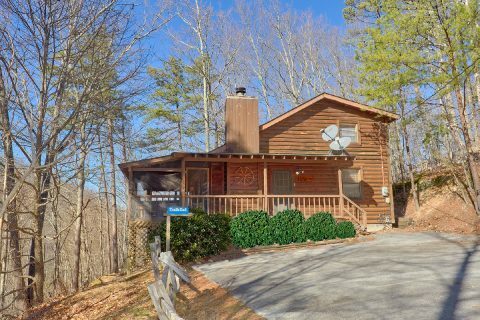 Additionally, this cabin rental is only a short drive from Dollywood and Gatlinburg, TN! 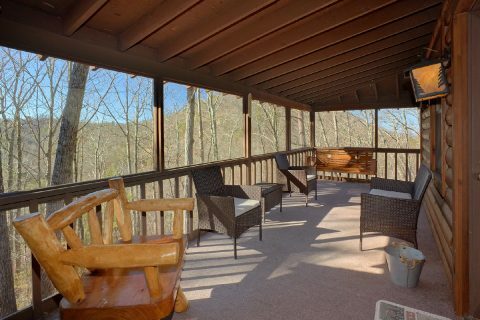 Better yet, "Cozy Hideaway" also rests in a secluded spot in the mountains, so you can enjoy plenty of privacy during your stay! 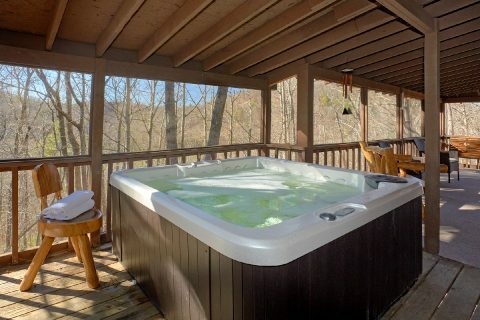 When you aren't busy enjoying excellent attractions in the Smokies, you'll love unwinding at this cozy cabin that has everything you need for a great vacation. 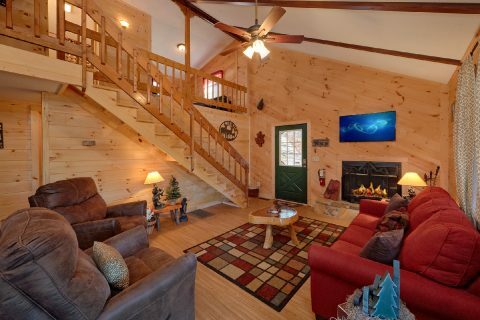 The welcoming main-level living room features a wood-burning fireplace, a television, and comfortable furnishings, so it’s the perfect place to relax with good company around the fire. 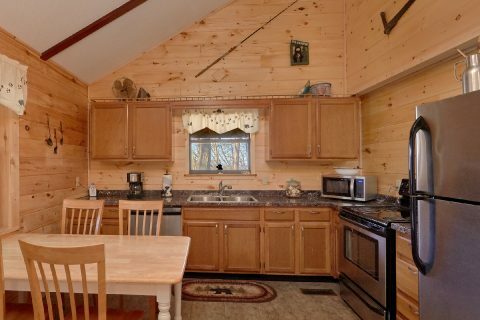 Nearby, your rental's full kitchen gives you the option of preparing cost-effective meals in the comfort of your cabin. 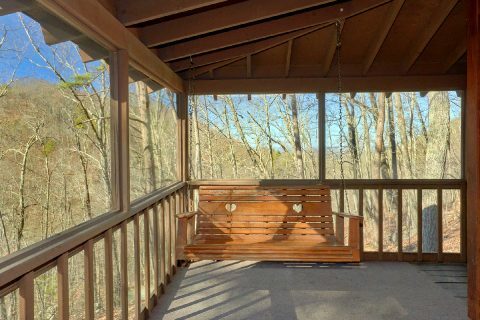 From here, you can step out onto your cabin's screened-in back deck with a hot tub and a lovely forested view in a secluded location. 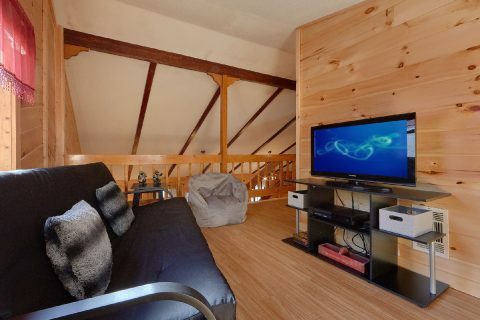 For some in-cabin entertainment, you can always watch your favorite films in the upstairs movie room. 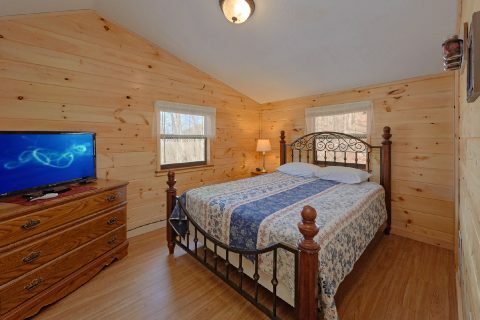 To get a good night's rest during your vacation, this cabin provides 3 queen size bedrooms, a sleeper sofa, and a futon for additional guests to sleep up to 8 in comfort. 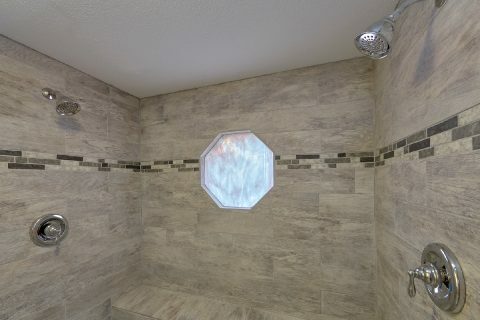 The main floor is home to two bedrooms and one of these rooms provides a private bath with a large, custom-tiled shower. 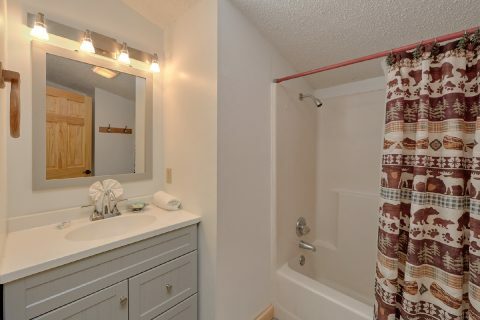 Upstairs, you'll find another bedroom. 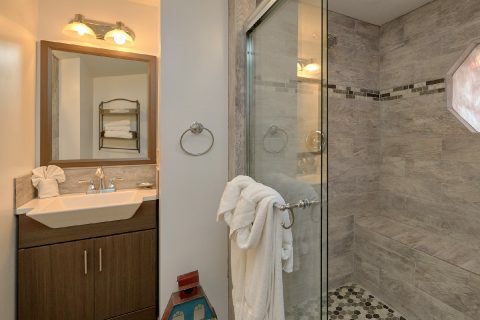 During your stay, you'll also enjoy practical amenities like WiFi Internet and a charcoal grill. 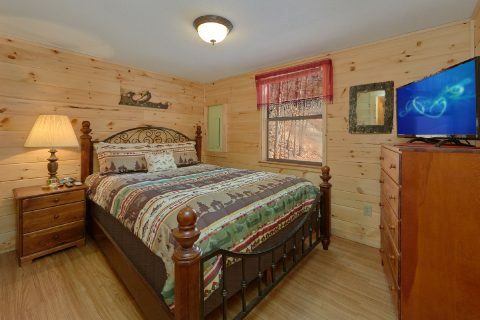 Book "Cozy Hideaway" today with Cabins USA to save 15% on your nightly rate with our special cabin discount! Start planning an affordable Smoky Mountain getaway at this cozy cabin near Dollywood & save!